One of the most memorable moments in your life is when you get married. 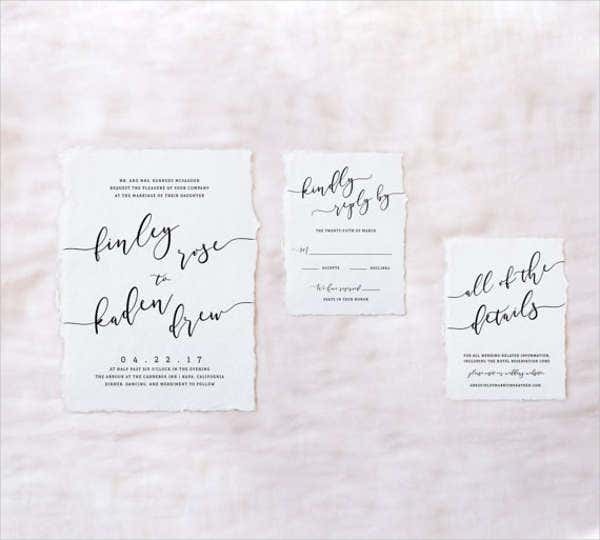 Weddings are important and are always documented—from the shoes the bride wears, to the accessories you have, and even invitations. Which brings us to talking about wedding invitations. 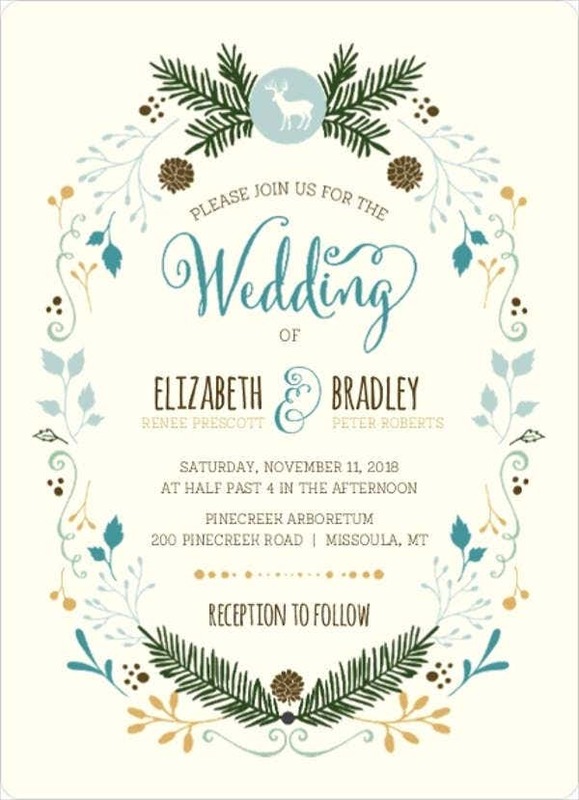 Here, we share a brief description for some wedding invitation templates you can use from our archives to create your own invitations from scratch or alter them to make them look more creative and presentable, depending on the style you would like your invitations to be in. You can also check out our website for Disney wedding invitation templates if you want a magical Disney-themed wedding every princess (or prince) has been dreaming of. 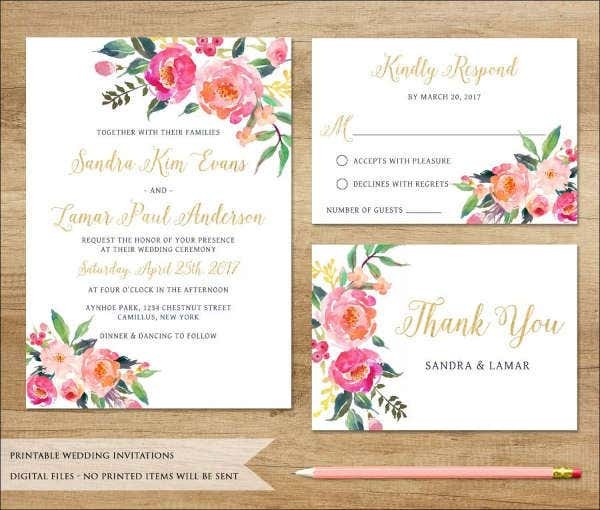 Wedding invitations are important because it is a method you can use to invite people over to an important event that is your own wedding. 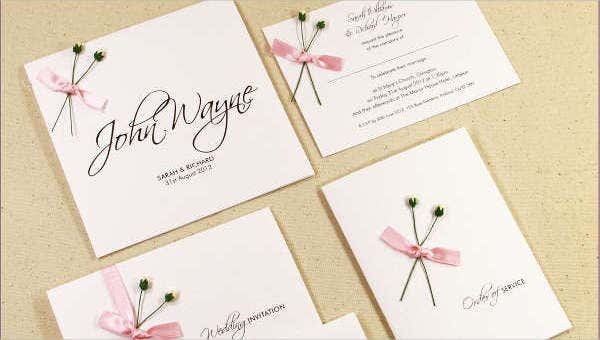 Without wedding invitations, you won’t be able to invite people or be able to inform your guests the details they need for your wedding, the program flow, the dress code, the wedding menu (to indicate certain dietary restriction or allergen information), and every other minute detail—unless you want a limited number of guests to attend your wedding or if you’re going for the “family only” type wedding. 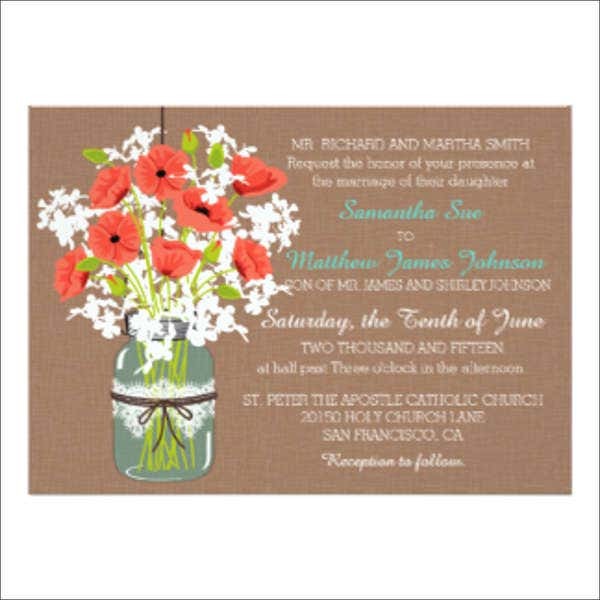 Rustic Floral Wedding Invitation – These types of invitations are commonly used for any theme in weddings. 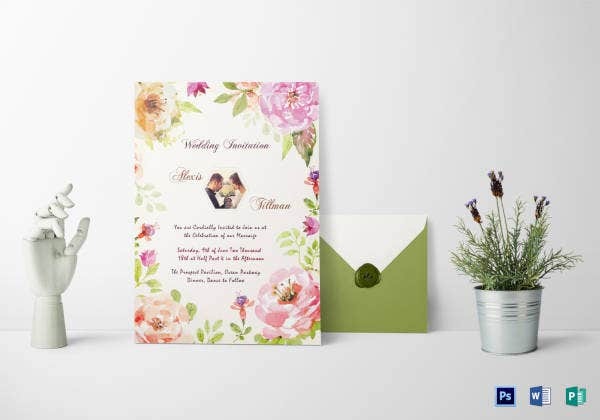 The design of this type of invitation include floral borderlines and overlays. 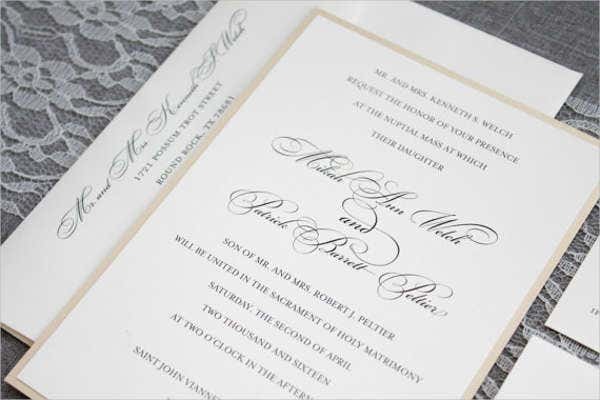 They also consist of fancy font styles or font styles in script to give the invitation more style and look attractive. 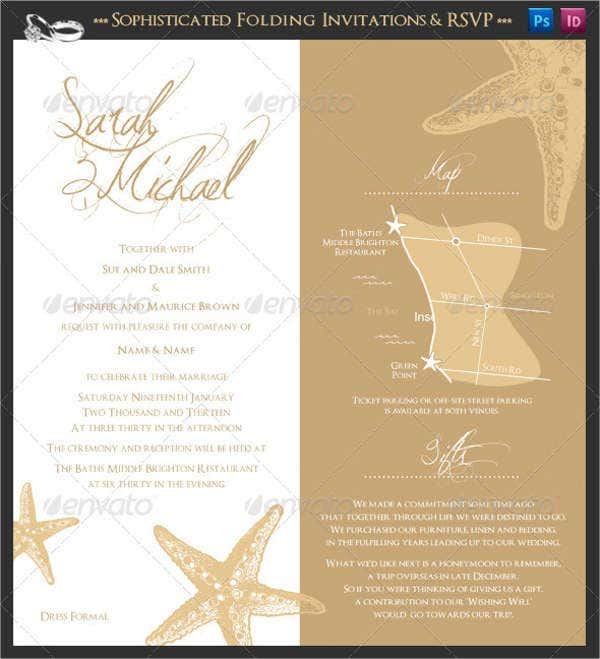 You can improve the designs of these templates by adding your own decorations for your invitations to have more appeal. 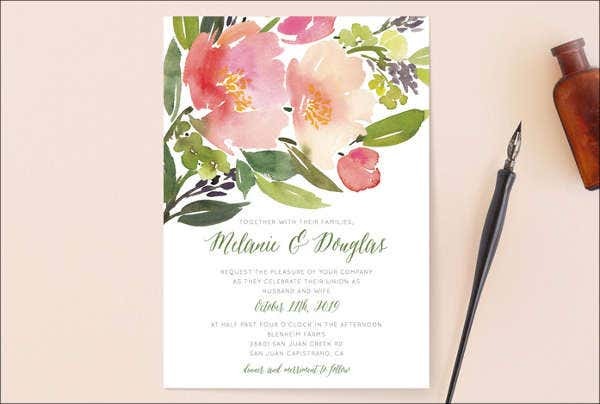 Watercolor Floral Wedding Invitation – You can use these types of invitations if you want to incorporate watercolor designs or patterns in your wedding invitations. 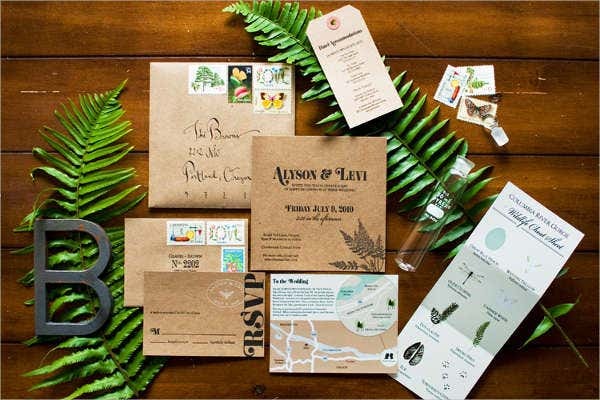 This is also a good way to make your invitations more attractive. 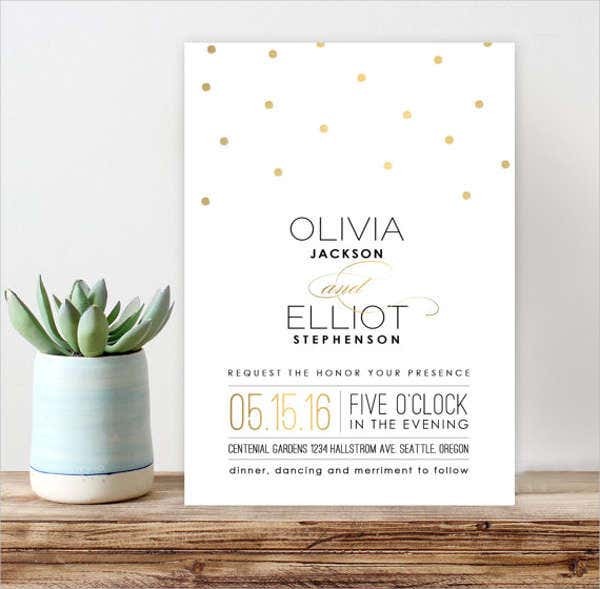 Designs this invitation may contain include watercolor-themed decorations and borderlines. 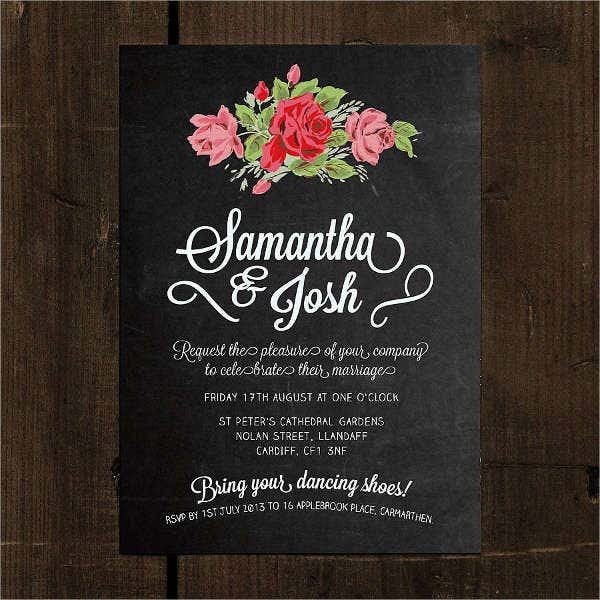 They may also contain floral patterns or decorations to make your invitation look elegant. You may also improve the designs by adding your own decorations and changing the font to the style that best fits your needs. 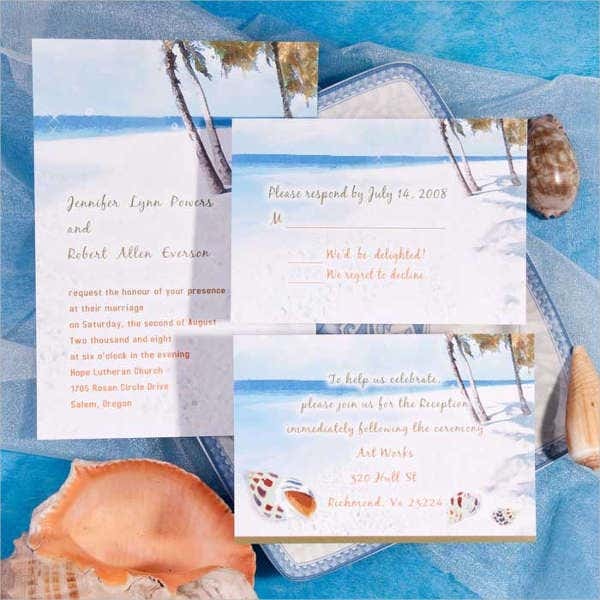 Seashore Watercolor Wedding Invitation – You can use this type of invitation if you want to make a summer-themed or beach wedding invitation. 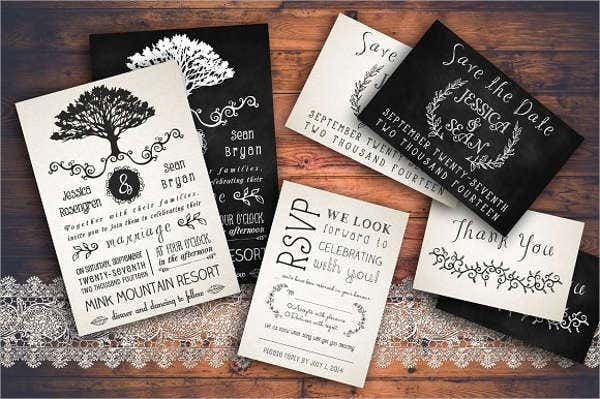 The designs and decorations these types of invitations contain are usually bright and related to summer. (Think coconuts, powdery-white sand, and the sunset as your natural wedding background.) 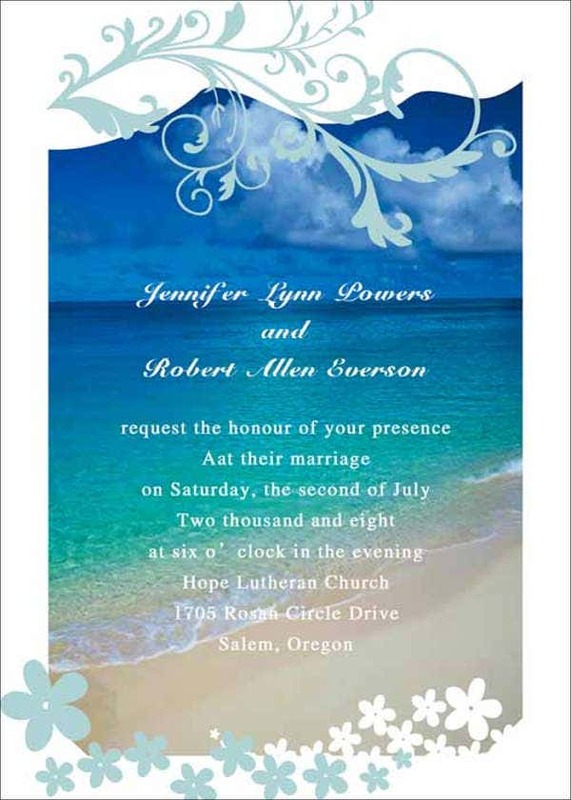 You can also use this type of invitation if you plan to have your wedding near the beach or the sea. 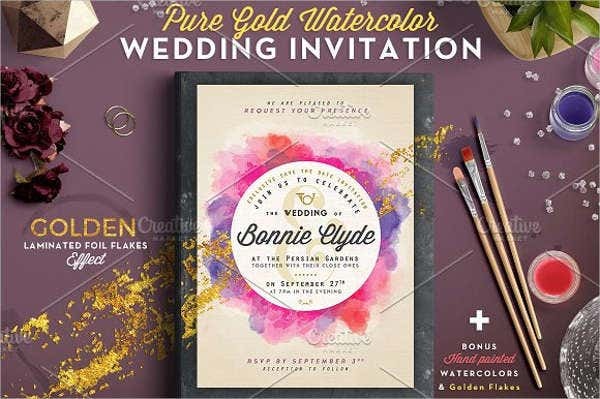 Watercolor Wedding Invitation – These types of invitations are commonly used if you want your invitations to contain watercolor design patterns and decorations. You can also add more watercolor design patterns to improve the existing patterns on the template. 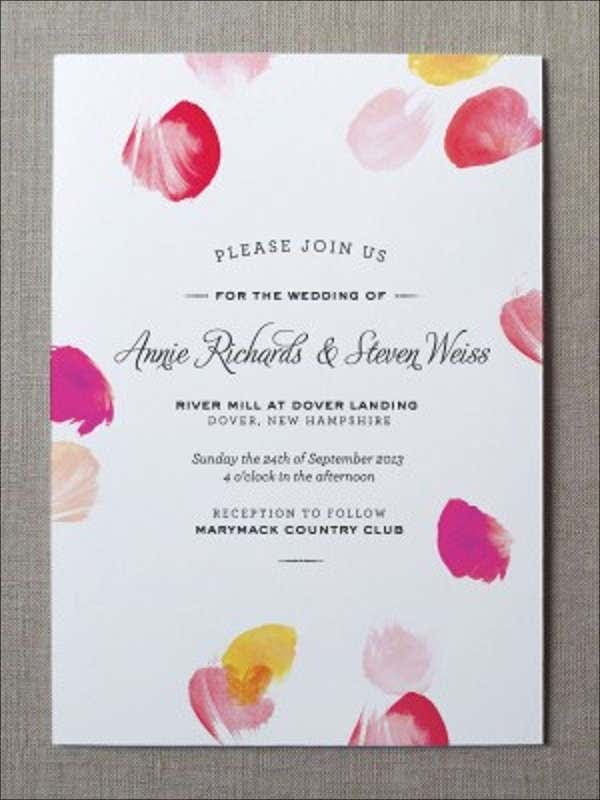 By using watercolor patterns to create your invitations, you can place more appeal in your invitations. 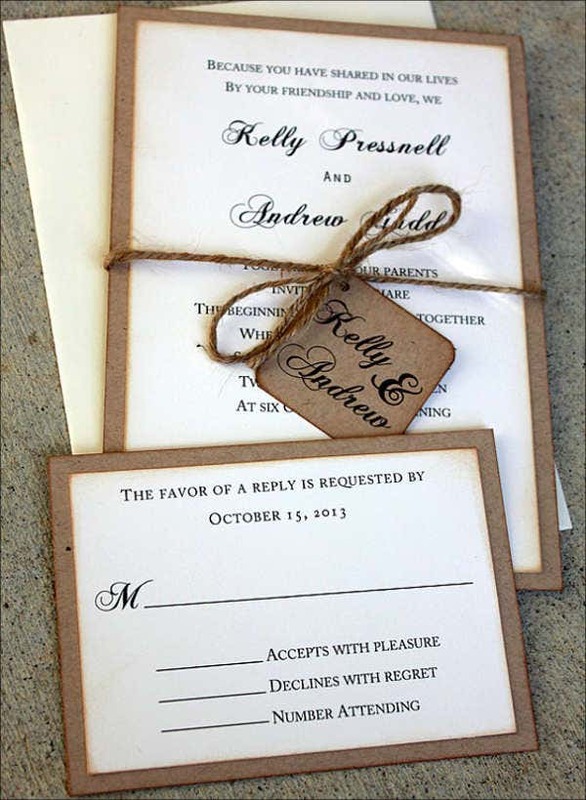 Rustic Paper Wedding Invitation – You can use these types of wedding invitations if you want to give textured paper invitations to your guests or attendees. 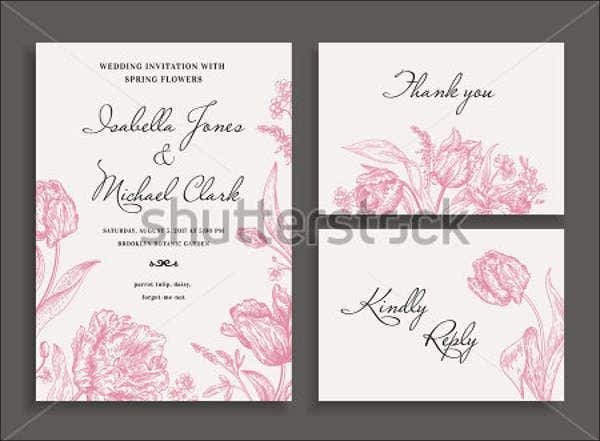 The designs that this invitation may contain include a thick paper texture for the invitation itself, which you can use embossed font patterns as fonts to use for the details in your invitations. 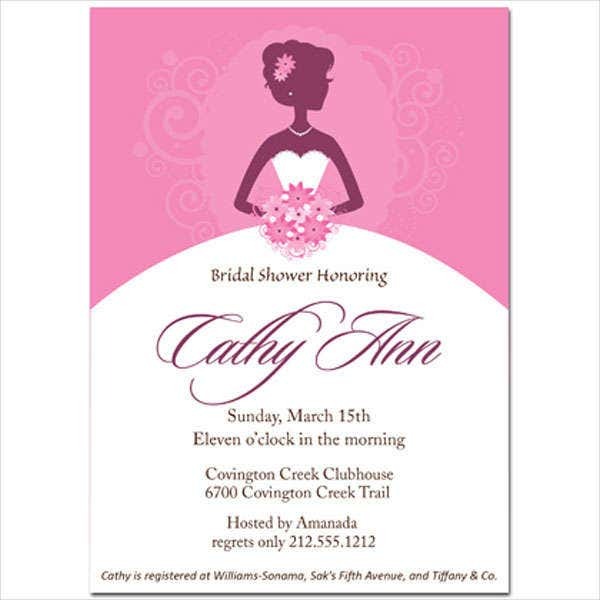 Photo Wedding Invitation – These types of invitations usually have a lot of photos as decorations for the invitation. 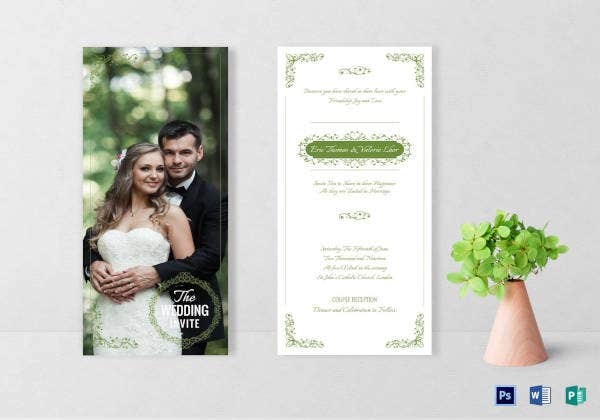 You can place your prenuptial pictures in your invitations to make them look more attractive as well and arouse more interest for your attendees. 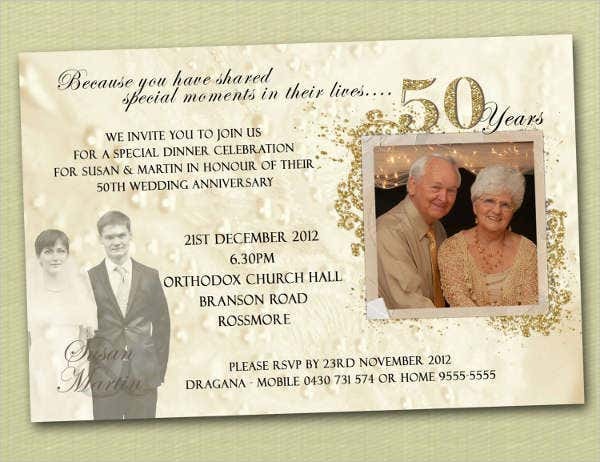 Other decorations that these types of invitations may contain include basic to intricate borderlines and overlays. 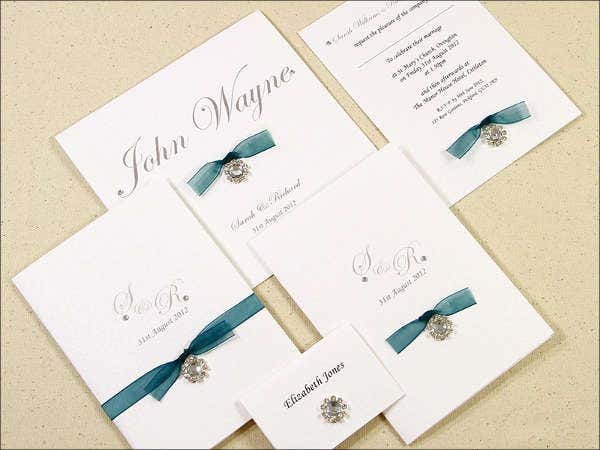 Choosing the right wedding invitation for your wedding is important. 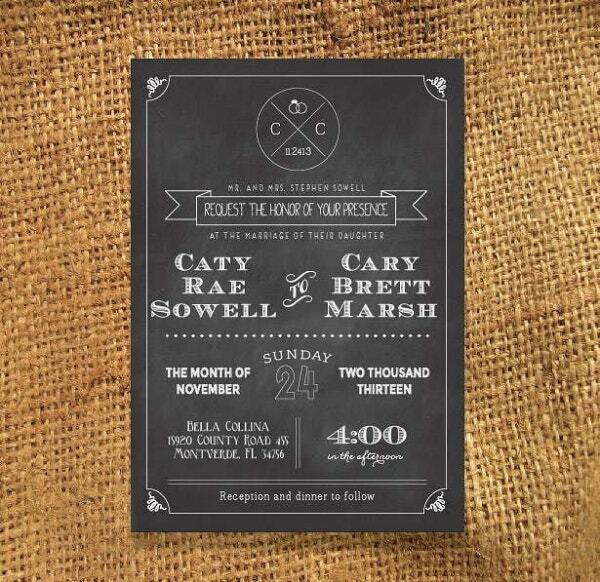 You wouldn’t want to have an invitation that does not match with your main wedding itself. 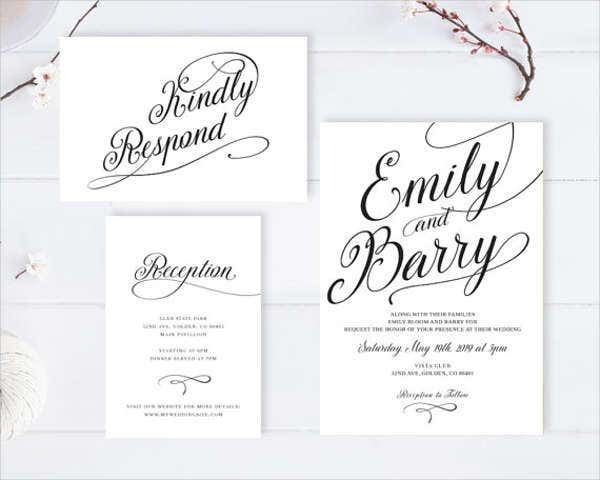 Generally, being able to have a wedding invitation is important because it is also a formal way for requesting someone’s presence in your most special day. 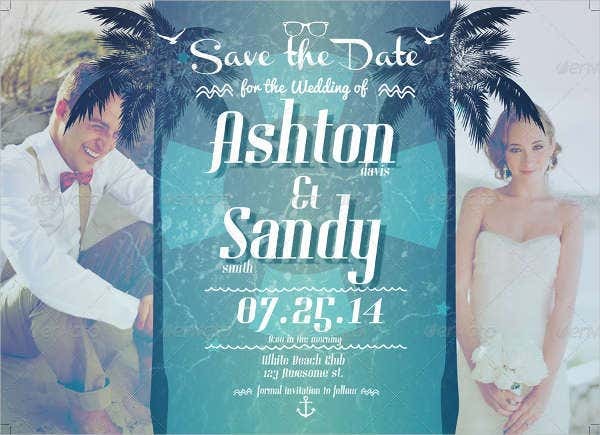 You can also check out our website for some destination wedding invitations and more free wedding invitation samples. 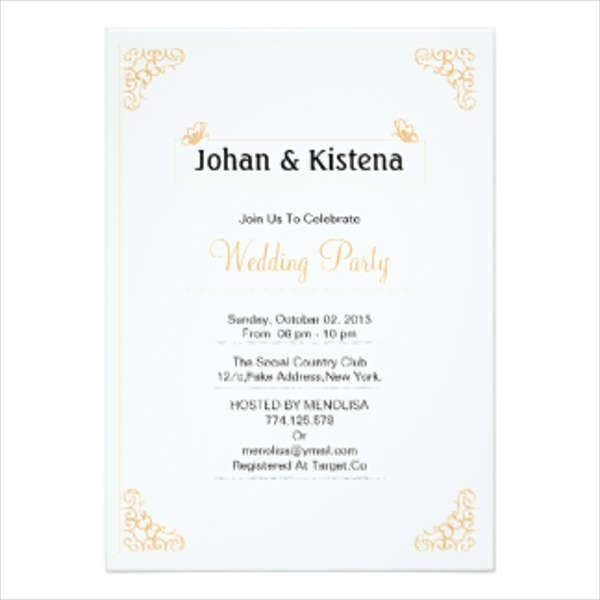 Guests’ Names – You will have to include to whom you will be sending your invitation so that the attendees will have a clear sense of being needed, feel special, or appreciated that you request for their attendance in your wedding. 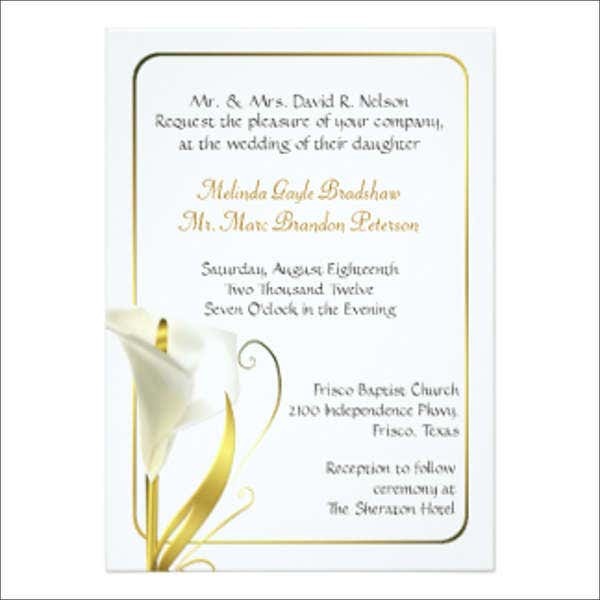 Location – You will need to note down the location for both your church and where your reception will be in your invitation for your guests to know which church to go and location for the reception afterwards. You can also include maps of the venues or contact details of your event coordinators to help your guests with the location. If you plan to send your invitations through email, it would be advisable to send screenshots of the road to take going to the location or screenshot google maps of possible routes going to the location. 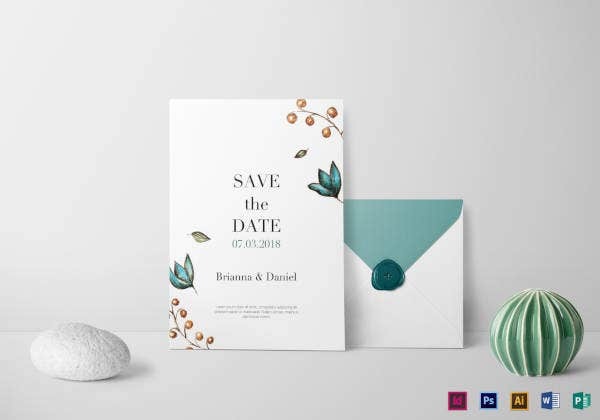 Program Flow – Your wedding invitations will need to have a schedule of the whole wedding program to keep your guests informed of the different activities that will be taking place in your wedding. You can also include the time for each program or duration per activity to keep your guests informed as much as possible. RSVP Section – It is important for your guest to be informed by providing RSVP section where you can place either your contact details or your event coordinator’s contact details for your guests to call in if they have any concerns about the different activities in your wedding or any conflicts with their schedules or reservation requests. RSVP sections may also include your email address or your event coordinator’s email. 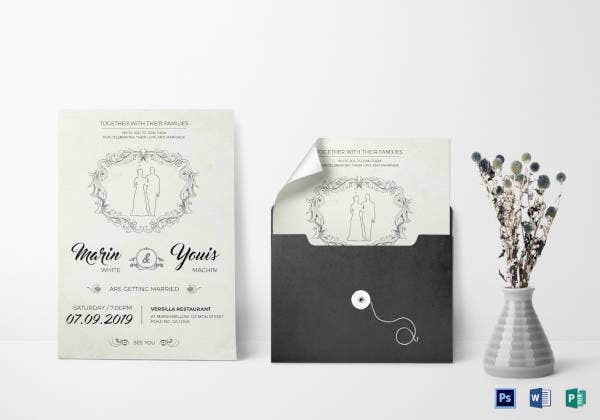 Wedding Participants – This is one of the most important detail you must include in your wedding invitations which are the participants in the wedding ceremony, like who the ring bearers and other sponsors will be and, most importantly, who’s getting married (if they don’t know yet). It is important to include this information to let your guests prepare in advance on the specific role they will take. 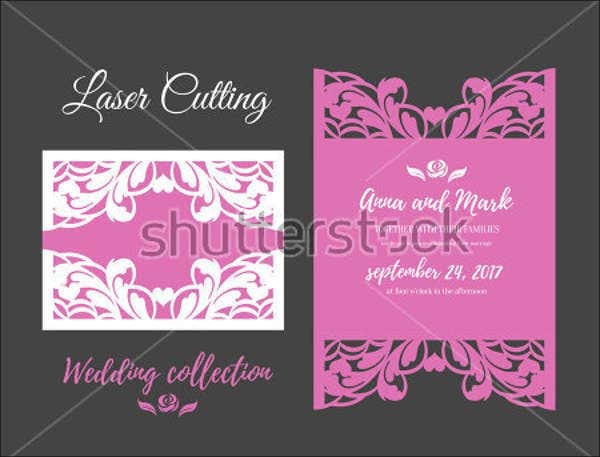 Title/Theme – Your wedding invitation should have a title or a theme that goes along with the design of your wedding invitation. 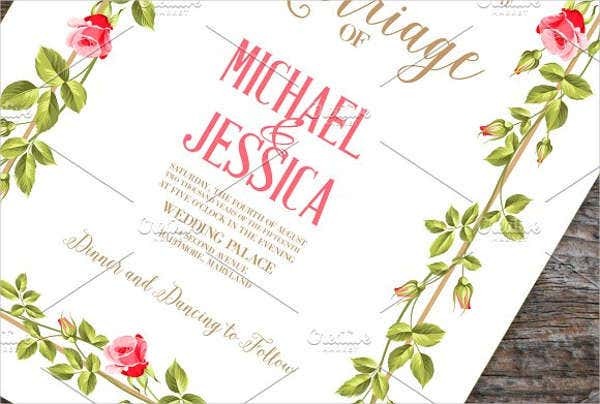 It is also helpful to have a title or theme to give guests an idea on what the program will be like and attract the attendees to go to your wedding. 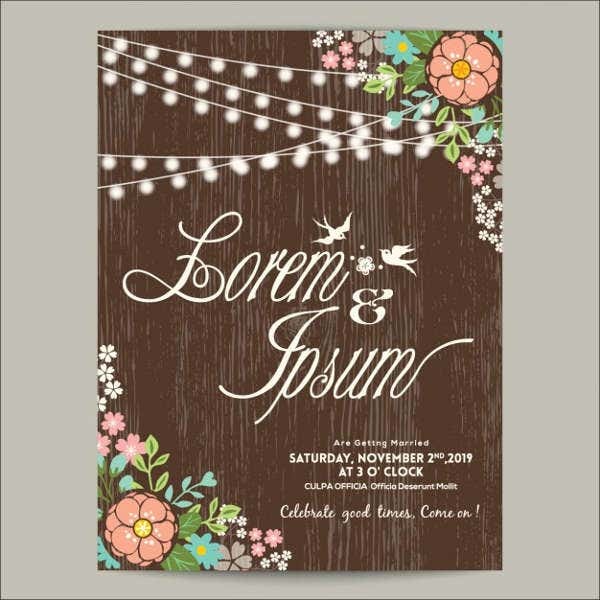 You can check out our website as well if you need more wedding invitation card templates or stylized burlap wedding invitations. 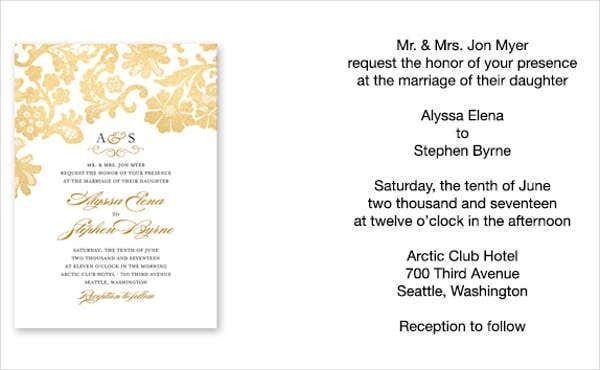 Email – One of the most common methods of sending your wedding invitations is through email. 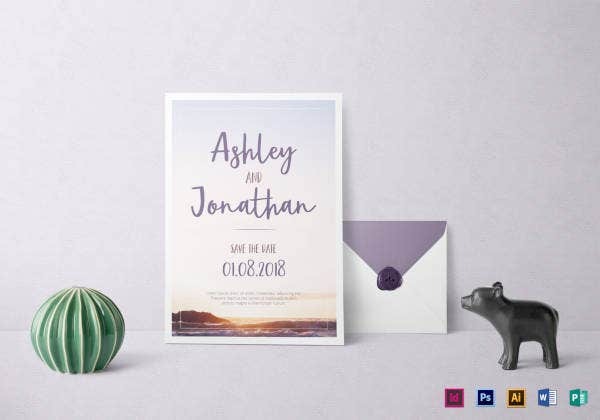 Since you will have PDF copies of your invitations, you can send them through email as long as you have your guests email addresses and other contact information just to be sure. Some guests also prefer to receive invitations through emails for their apps to automatically schedule the event in their calendars. Others also prefer to receive them through email because they use their emails daily. 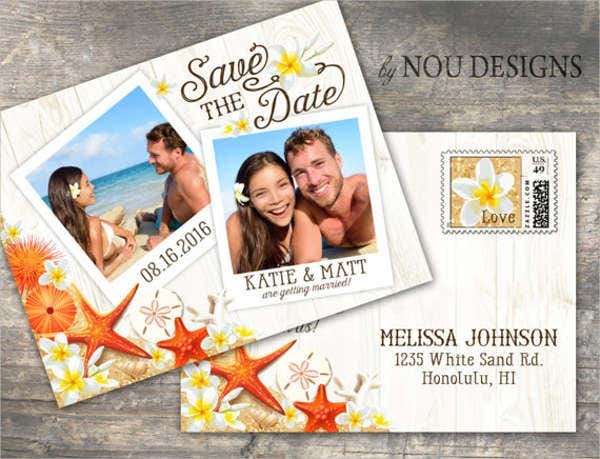 Mail – Another alternative method to sending your wedding invitations is through mail. 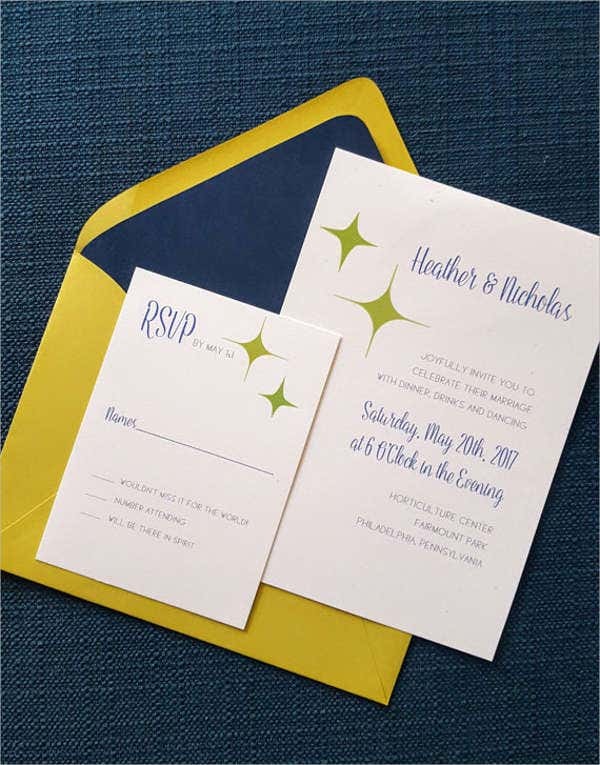 If you want to send your invitations through mail, it would be advisable to send them as early as possible to prevent delays from the shipping time, which may also delay the time it gets for your guests to receive them. You should also use this method if your guests do not have access to emails, internet, or not familiar with using electronic devices. 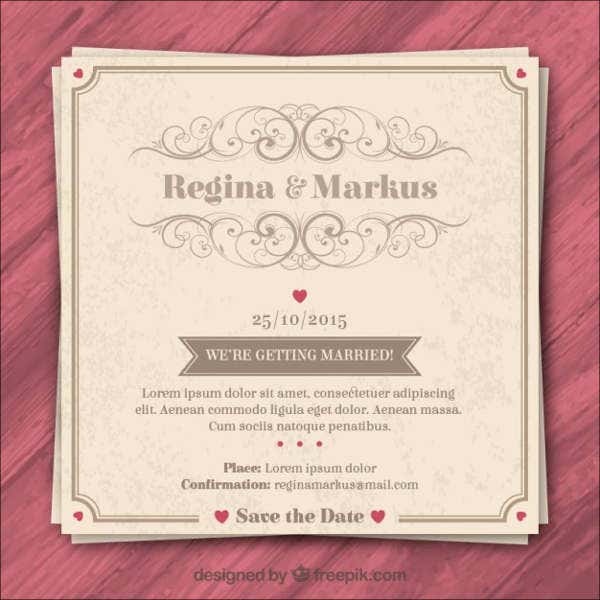 You can also check out our website for more wedding invitation templates or wedding invitation card templates. Don’t forget to extend your stay here on Template.net by visiting more of our business and design templates on our archives!